An online store is more than just a website. Besides representing your brand and offering a user-friendly experience - which all websites should - an online store is comprised of complex functionalities, security, and processes; if it is not done right, it really could impact a brand negatively. The older ecommerce platform for Sole Lounge was failing on all fronts, so we had to take over. 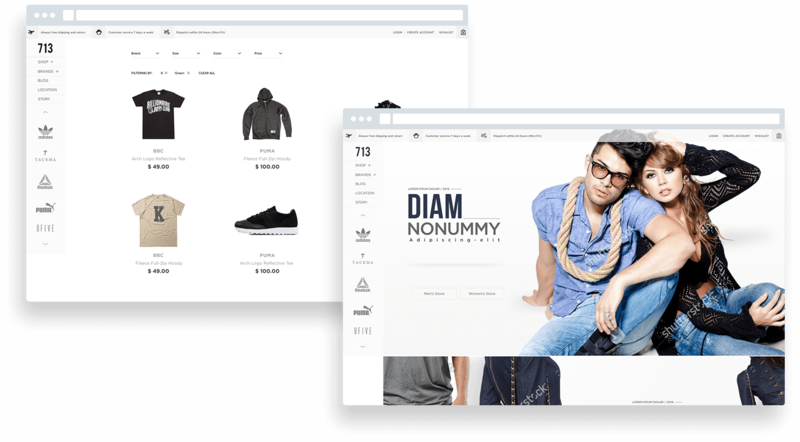 When you are looking for ecommerce web design for a high-end store, you simply cannot go with a cheap template. Since their sales were not anywhere near what they expected, it called for drastic measures. To match their objectives and the brand that they were striving to build, we created a custom web design exclusive for Sole Lounge. 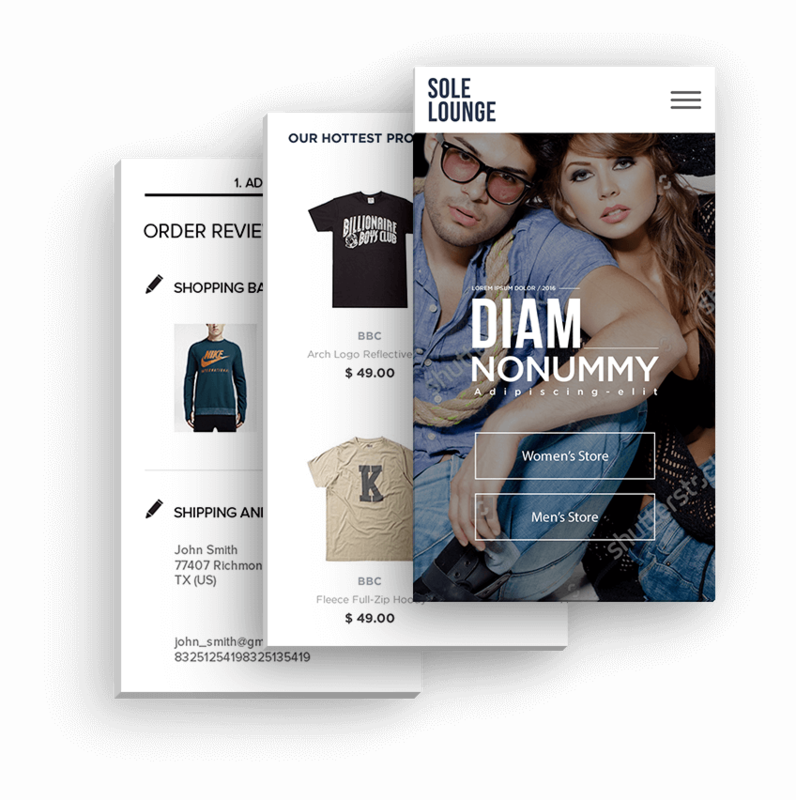 This whole new wireframe allowed Sole Lounge to feature all of the popular brands that they carry, and we also made it easy for customers to browse through their large apparel inventory through powerful sort features. In ecommerce, being able to manage processes is essential for success. Getting sales is a challenge, but once a truckload of orders start pouring in, then you must also be able to fulfill them. Sole Lounge, like all online stores, have to deal with incoming orders, shipment, questions from clients, returns, inventory management and much more. When we were still in the process of discussing their website, we jotted down their requirements in creating a complex back-end ecommerce solution that is also synchronized with their in-store Point of Sale. This allowed their new website to automate a lot of their tasks and help keep things under control. They loved the idea and now they love the result. After the redesign, and additional enhancements of their website, Sole Lounge saw a significant surge in sales. Sole Lounge is an apparel boutique owned by the McGrady family. Tracy McGrady is a former Houston Rockets player who now invests that same energy and enthusiasm in the family business, along with his brother Chance McGrady. Sole Lounge is devoted to offering their clients the best products on the market, which is why they feature giant brands like Nike, Adidas and others of the same caliber. They also top that off with excellent customer service.